The last year has been an exciting year for Office 365 admins. 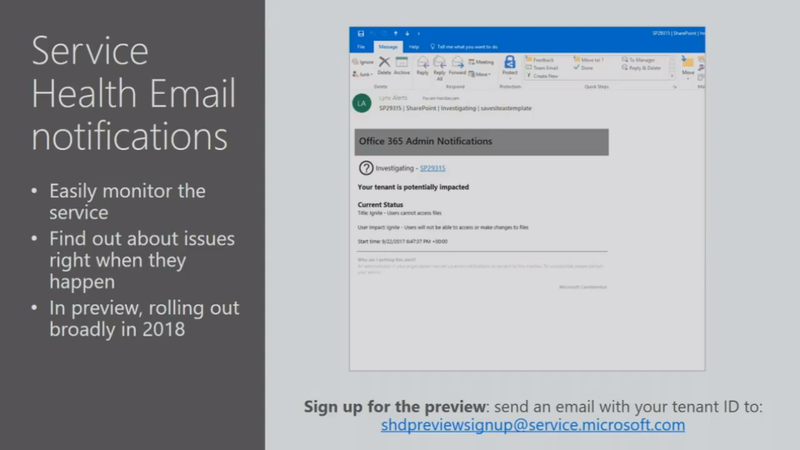 Office 365 administration has been evolving at a rapid pace, making more features and functionality available to admins on an almost daily basis. Attend this demo-heavy session to learn about improved capabilities that make it easier, and more efficient for you to manage Office 365. So a REALLY long analogy is being unrolled between the Nokia 6021 and O365 administration. 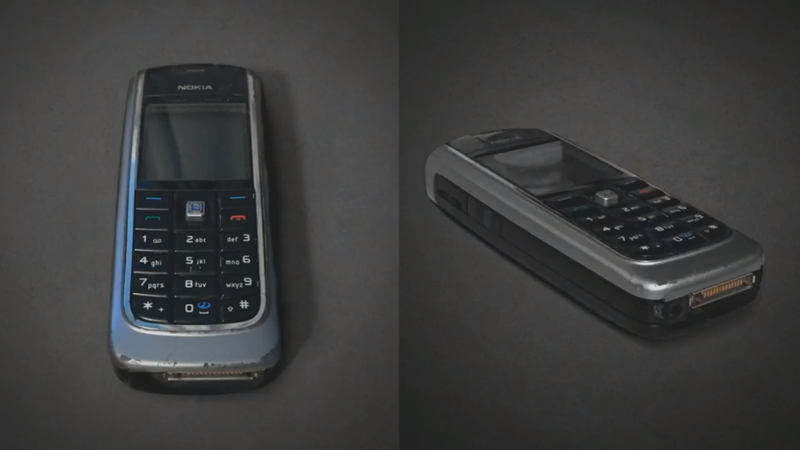 And the punch line was predictable: phones evolved, O365 administration tools evolve. Like we’re seven minute into this, and the presenter is still working the phone analogy. There is a feature to “offboard” a user with one click. This effectively blocks access to all O365 assets (Outlook, OneDrive, etc.). In addition, the blocked user’s O365 assets can be partitioned out to other users for clean-up, content recovery, or whatever. Just out of curiosity, I wonder how this will be handled at GRE? Who? It gets into the realm of everything in O365. When we move Outlook to the cloud, this will have to be addressed. “Metadata is super valuable” – why? The degree of random hyperbole at this conference is spectacular. 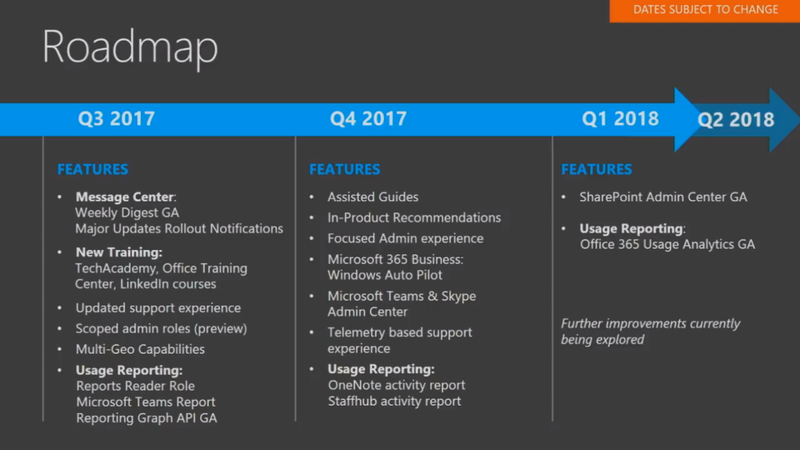 They are continuing to hammer home the idea that the entire MS 365 experience should start in Teams. They just added Teams stats into the site usage reports. THey will be available to everyone in about two weeks. The site usage stats can be anonymized, so that stats do not list users by name, They are again touting the “Report Reader” role to give access to the site usage reports in the admin center w/o being granted the admin role. 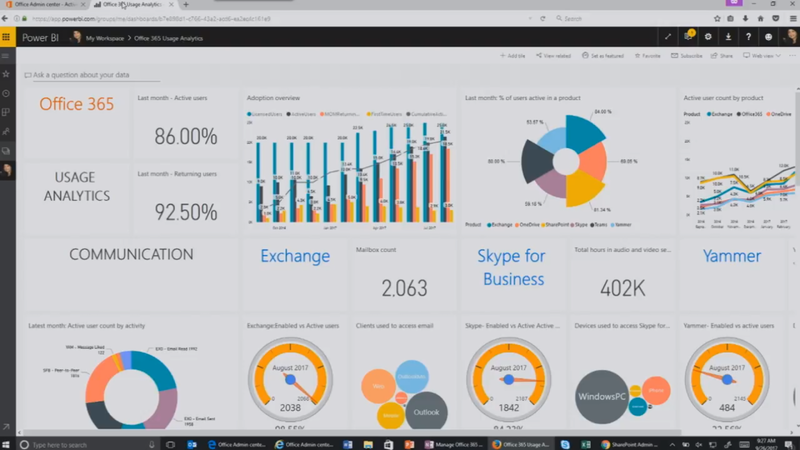 The new Office 365 Usage Analytics functionality is coming in Q1 of 2018. It is considerably more robust than what is available today. Instead of just surfacing statistics, it surfaces concepts like adoption, popularity, activities. It looks pretty fantastic and useful for all the analytics we’d ever need. 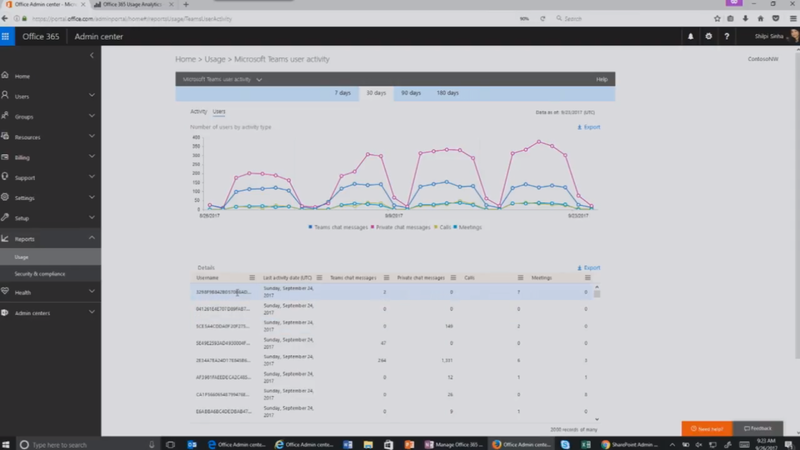 There is also an API for MS Graph data if we wanted to create custom analytics. There is a health notification email service being launched. We can opt in now if we want. 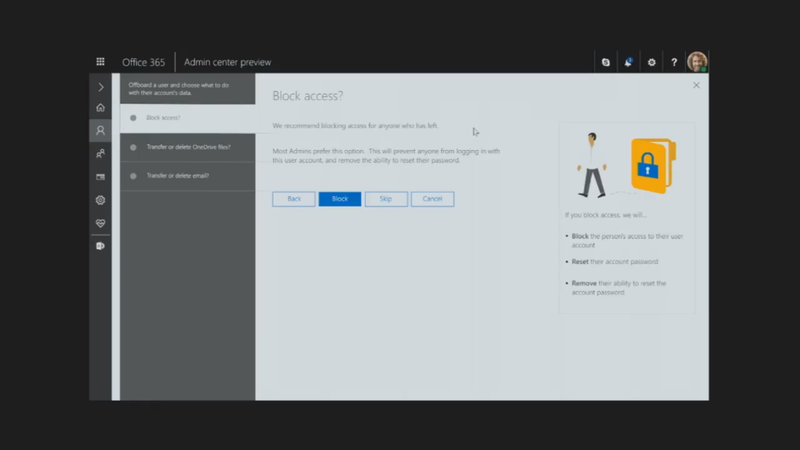 They are also revamping their release updates in the admin message center. “Major” updates will be called out in large boxes at the top of the list of updates. So they have a thing called the Office 365 Training Center. It looks rather promising as a training resource for our users. They also just launched the Microsoft Virtual Academy. It contains free training for the geekier folks. They both look quite useful, I have to admit.